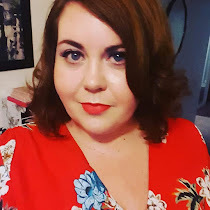 Whilst I am a dress girl at heart, lately I have been looking around at the season's latest offerings and have seen some beautiful tops, for both daytime and evening, which I would love to wear. My separates collection is very small indeed and I find myself searching for the perfect fitting pair of high waisted jeans that I can pair with some of the beautiful tops I have seen. 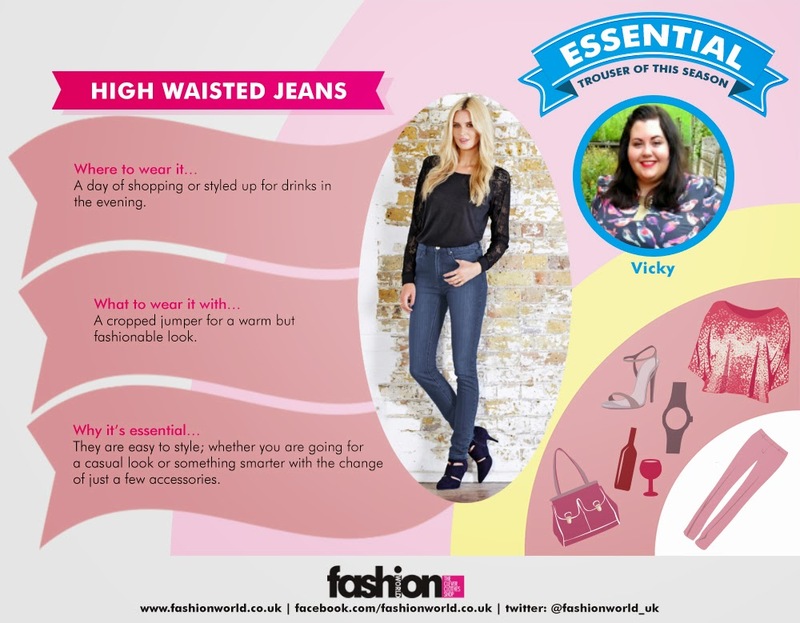 I have recently been provided with an infographic from Fashion World in which they have provided tips and suggestions about the 4 essential types of trousers that every woman needs in their wardrobe. Having asked me which my preference was they requested that I give them some styling tips. They have created the below graphic for me where you can see what I have chosen and my comments! I have not worn a high waisted jeans since 2000 and then low waisted was fashionable. The great thing is you dont have 'bulk' coming over the hips with them.